The City of Detroit has a special place in our history. It is the city from which in 1817 the U-M was born as an institution, it remains the major metropolitan region of the state we serve, and today it is a city with unique opportunities, capacities, and challenges from which we can learn and to which we can contribute. We owe Detroit much, not just as the city of our birth, but also for the city’s generosity in helping our students learn, and in helping our scholars develop new knowledge, ideas, processes and policies to impact the world in a positive way. Today there is a rapidly growing body of work in Detroit. This is occurring because we see the promise of Detroit as city of many communities, where we can learn and grow and contribute. U-M President Schlissel has made Detroit a focus for the university, and we see new opportunities to engage. We are making major investments in infrastructure to allow us to be a more integral part of Detroit. To make good on our mission to serve the people of Detroit through the generation of knowledge, ideas, action, leaders, and citizens, we must hold ourselves accountable, be transparent, develop long-term relationships, and respect the communities in which we would engage. We have a 200-year shared history with the City of Detroit. We must also recognize that with Detroit we have a shared destiny. The U-M Detroit Center serves as a gateway for University and urban communities to utilize each other’s learning, research, and cultural activities. The facility includes offices and space for meetings, exhibitions, lectures, collaborative work, and more while serving as a home base for students and faculty working on projects in Detroit. The Detroit Community-Academic Urban Research Center (Detroit URC) is a collaboration of representatives from multiple Detroit organizations and academic researchers from the U-M who work together to foster health equity in the city of Detroit. The Detroit Partnership seeks to unite the U-M and Detroit by working alongside community partners in the city. This student-run, non-profit organization, strives to raise awareness, challenge stereotypes, and promote social justice through service-learning programs and educational events. Semester in Detroit transforms U-M students through reciprocal relationships with the people, organizations, and neighborhoods of Detroit. By living, learning, and working in the city, our students engage with community leaders in transformative work – strengthening themselves as well as the wider region. 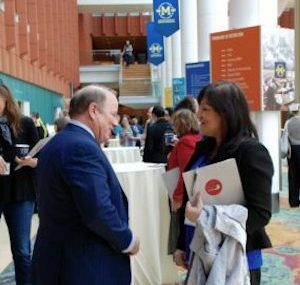 U-M’s Detroit Connector provides transportation between Detroit, Dearborn, and Ann Arbor for U-M affiliates and community members in support of curricular, co-curricular, research, service-learning, and community service opportunities.